Let’s set the stage. Less than two weeks before BizBash’s office lease was set to expire, we were running out of options for where to go. Potential deals had fallen apart, and we were having trouble finding the right space. Staying at our current location was not an option: For the first time in 16 years it was a seller’s market and rents were going through the roof. We had to move 35 people to a new office by what seemed like an impossible deadline. We needed to figure out a plan B. The light bulb went off, and our thinking changed rather dramatically. PS Ives from Space in the Raw assured us we could execute the project on what seemed like a crazy timeline. 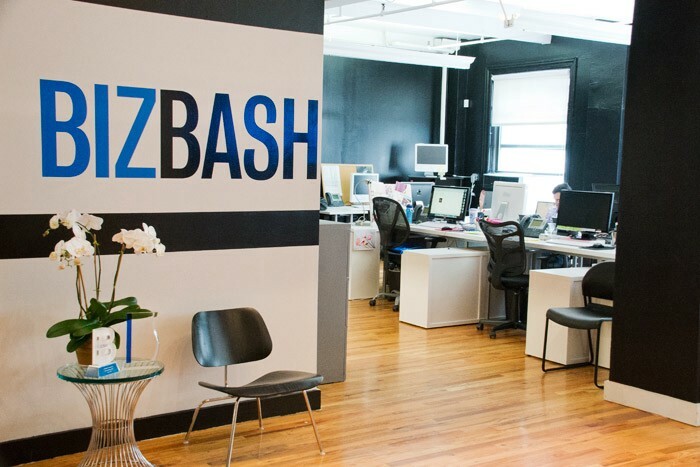 In 24 hours, the company had worked out a complete design and execution plan with BizBash’s executive vice president, Nicole Peck, while our C.F.O., David Levine, worked on moving us out of our existing space. With two weeks to go, we settled on a great space that Space in the Raw found for us on 27th Street in Chelsea. The eighth-floor space offered an open floor plan, wood floors, and the potential for the ultra-cool environment we were looking for. On August 30 — a day before our old lease was to expire — we signed our lease and arrived with an army of construction workers, painters, and assembly crews. It felt like load-in day for our trade shows with all the confusion of pre-event chaos. The execution was carried out with the precision of a military operation, doing carefully thought-out construction projects that maximized light and energy in the space. The design called for new benched desks, black walls, and common areas intended to encourage collaboration. Much like event planners creating an event footprint, Peck and Space in the Raw designers Ashley J. Crook and Christina Rene worked out a seating plan to encourage efficiency and collaboration, and BizBash’s I.T. director, Wei Zheng, pushed to get Transbeam, our event-friendly internet provider, to hook us up in record time. Over the Labor Day holiday weekend, we worked to finish the space. It took some late nights, dedication from our team, and the willingness to think about things a little differently. We had to push back our start date by a couple of days but we are now all settled in. 1. “Event Thinking” for office environments creates a more dynamic atmosphere and treats each working group (installation) as an experience. 2. It’s okay to throw things away. It may seem painful to let go of props from past events or furniture that once served you well, but clinging to the past doesn’t let you design for the future. 3. Don’t make the office design a democracy. Keep decision-making to a small core group. 4. Bring in employees in groups and stagger the move if possible. Use co-working spaces like the Grind or WeWork to bridge the gap for some team members. 5. Focus on collaborative spaces like conference rooms and kitchens that allow for more casual interaction. 6. Make your office represent your culture. 7. Always have a Plan B — and in our case, Plan C.
8. Most importantly, partner with organizations and vendors who can deliver for you. David Adler is the CEO and Founder of BizBash.com, the leading resource for innovative meeting and event organizers and event marketers. The place for event professionals to discuss anything event planning related, learn about the hottest industry trends, exchange knowledge, network and more. Powered by Bizzabo.